Choose this quality leather dog harness for Tibetian Mastiff training and control. Colors: black, brown. Sizes: S-XL. Tibetian Mastiff power is huge. 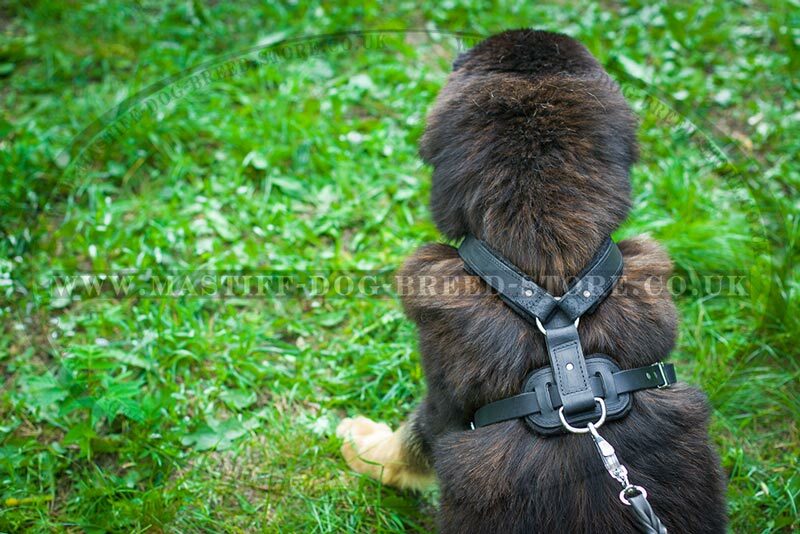 Tibetian Mastiff training will be more controlled and comfortable with a super strong leather dog harness. It is a special model of training dog harness. It is one of our bestsellers. This training dog harness is widely used by police and military for K9 dogs. 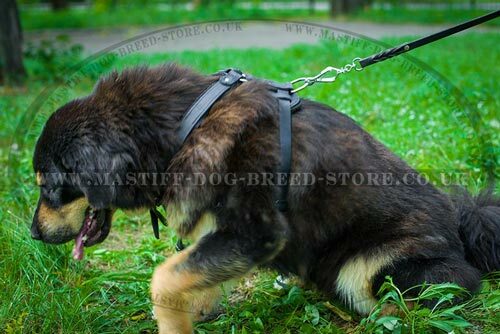 Tibetian Mastiff training dog harness is perfect for dog attack training, dog walking, dog running, guarding etc. 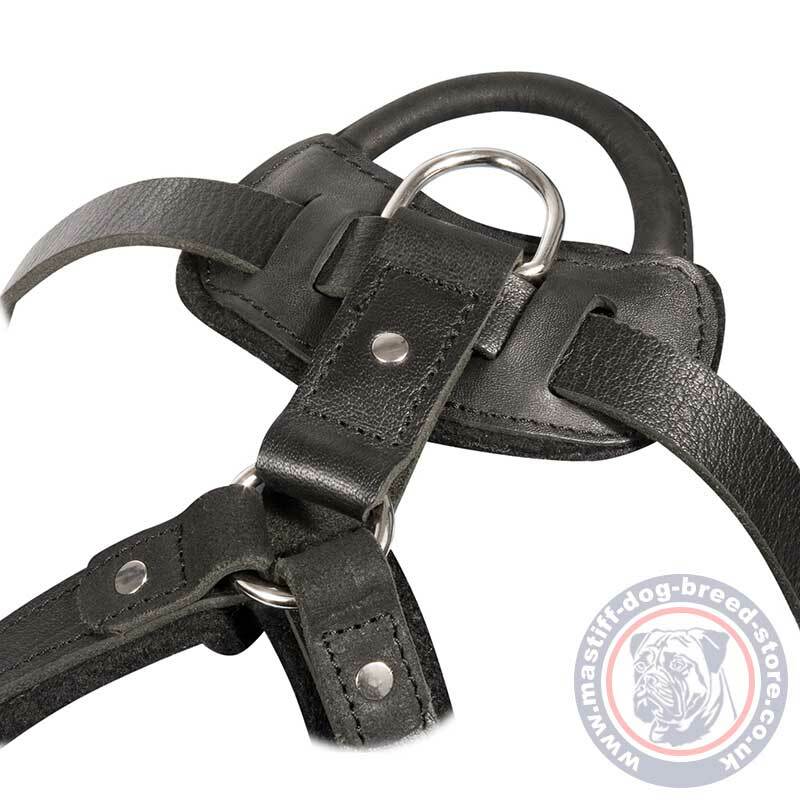 Strong leather dog harness is made of genuine, thick and strong leather. It is carefully well done. All the joints are securely fixed by rustproof rivets. The stitches are reliably waxed. 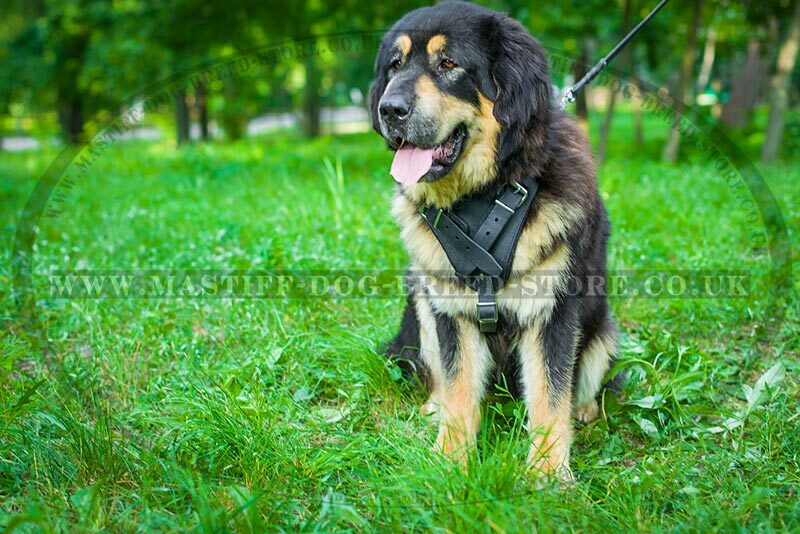 Tibetian Mastiff training dog harness gives your dog comfort and freedom of moves. Perfect leather dog harness design is made up to dog body form and size. You will easily fasten the straps to fit it maximim comfy. Training dog harness is fastened with classic clasps and there is one quick release for easy taking on/off. Turn your attention, that the leather we use is 3.5 mm thick for supreme durability. Genuine leather is probably the best material for dog accessories, as it is natural, soft, strong and non-allergenic. Leather items will serve you for a long time if stored properly. You may read the general rules for leather items care at our article. Extremely strong dog harness has a perfect design to train a large, powerful dog and to handle Tibetian Mastiff temper in walking and training.